Periodontists are dental practitioners who specialize in the prevention and treatment of diseases of the tooth-supporting tissues – the periodontium. Although all dentists receive training in the diagnosis and treatment of mild to moderate periodontal disease, it is usual practice to refer severe or complex cases to a periodontist, who will have undertaken additional training and acquired special expertise in the area. 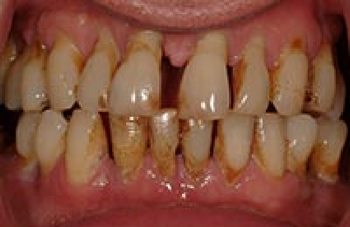 Periodontitis is a very common condition in which the gums and deeper periodontal structures become inflamed. 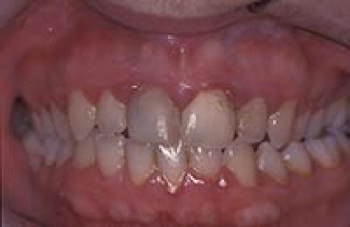 This inflammation of the gums, which usually takes the form of redness, swelling and a tendency to bleed during tooth brushing, is the body’s response to certain bacteria that have been allowed to accumulate on the teeth. Although this is a part of the body’s defence system, this inflammatory response can eventually cause serious damage. If left unchecked, the inflammation can spread down below the gums and along the roots of the teeth, causing destruction of the periodontal ligament and the supporting bone. This ultimately leads to the loosening and potential loss of the teeth. 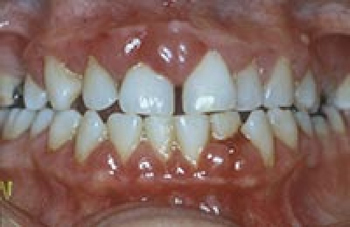 Below you can see examples of periodontitis from early to advanced stages.